In the past year or two it seems like the beauty industry has exploded with products geared towards sculpting and defining your face. It’s not that the techniques are new. Makeup Artists everywhere have been contouring and highlighting for years. But as celebs share their secrets for why their cheekbones look so flippin’ amazing, the demand for products that can help you achieve the look has seemingly gone through the roof. Full-on highlighting and contouring a la Kim Kardashian is probably not necessary for the everyday. However, incorporating a toned down version of these techniques can really make an amazing difference in your overall makeup look. It’s a lot easier than you might think, especially when you have the right tools in hand. Which, of course, brings us to the topic of today’s post. 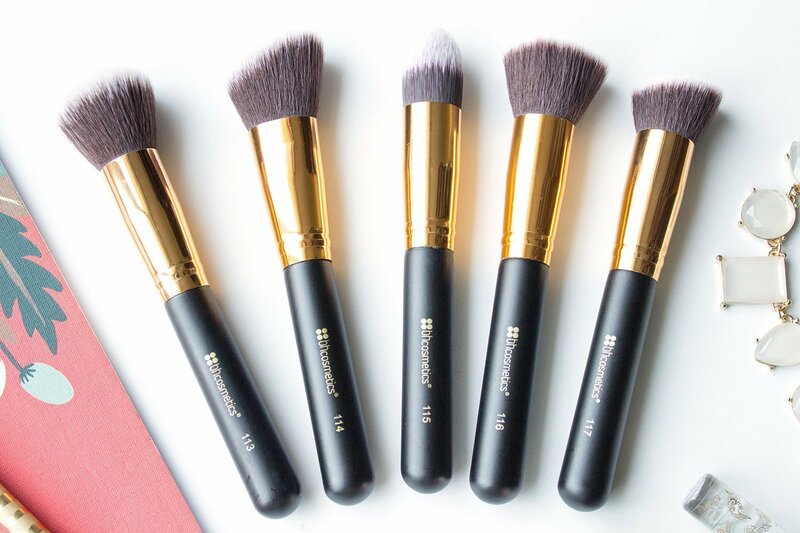 When I stumbled upon the BH Cosmetics Sculpt and Blend – 10 Piece Brush Set I just knew I had to take it home with me. 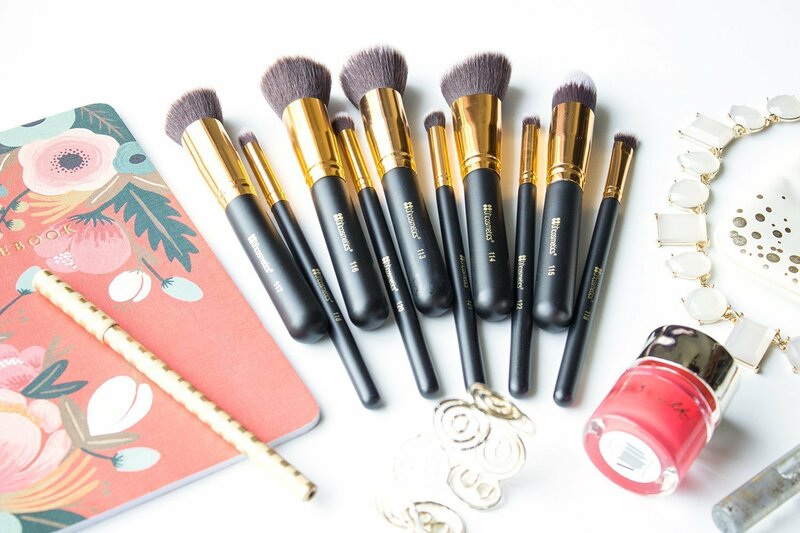 With ten brushes specifically designed for precision application of powders, creams, and blushes, it’s the perfect way unleash your inner makeup artist. 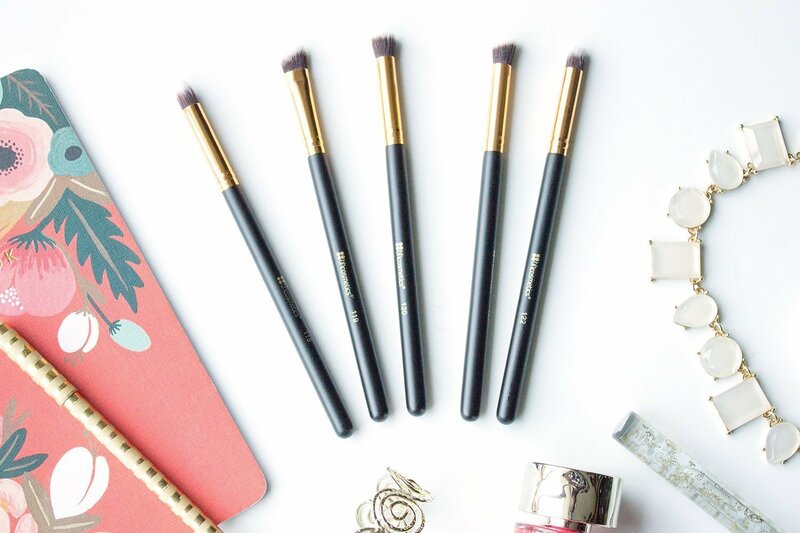 Not only are these brushes beautiful, but they’re also an incredible value! When it comes to applying just about any type of face product, this set covers all of your bases. 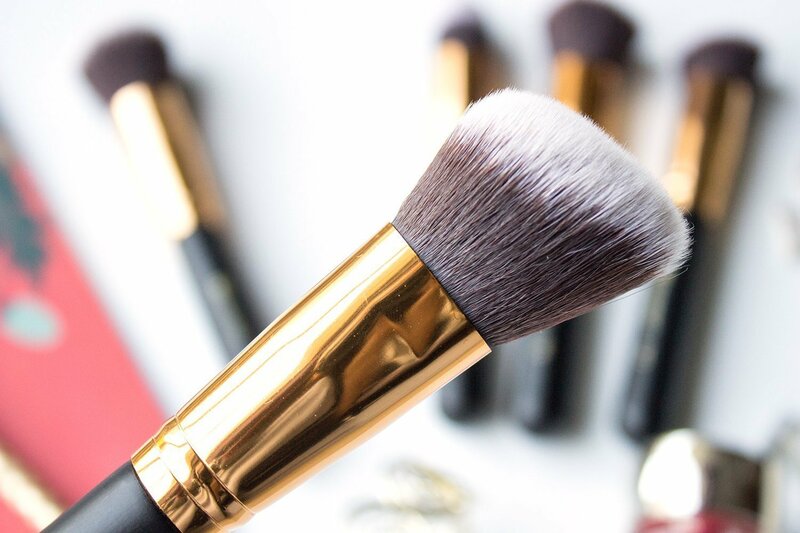 From buffing in foundation to contouring your nose, these 5 face brushes and 5 small precision brushes can handle just about any task. 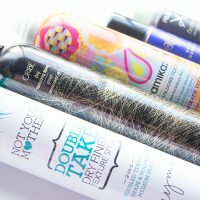 The bristles are a dual-fiber synthetic, which means that they are friendly to creams, liquids, and powders and will also hold up well to repeated washing. They’re incredibly soft, and not overly dense, making these brushes perfect for blending and buffing. I did notice a small amount of shedding from some of the larger brushes, however it was not to the point where I’d have stray hairs all over my face while applying my makeup. They’re also really quite beautiful to look at. 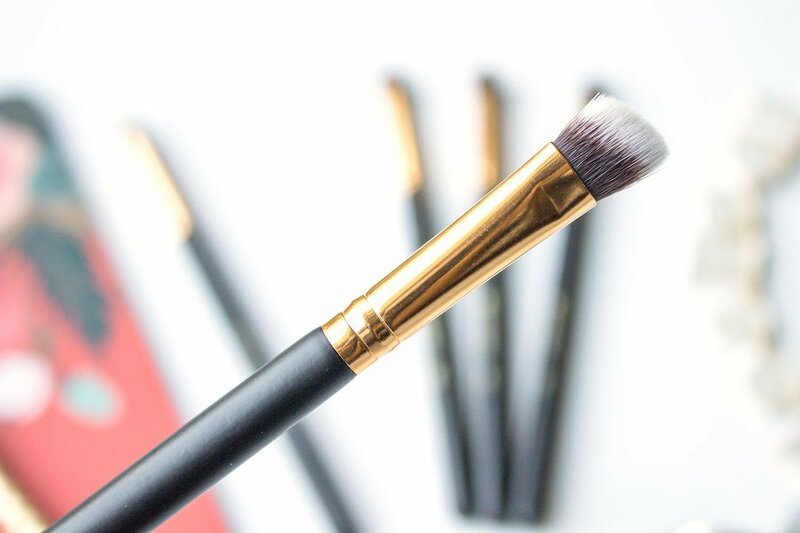 The dual-fiber bristles have a very high-end feel, and the gold-on-black styling is super sleek. The brushes themselves are relatively lightweight, but still have a pretty sturdy feel in the hand. All in all, these brushes are a really great quality, especially when you consider the price! 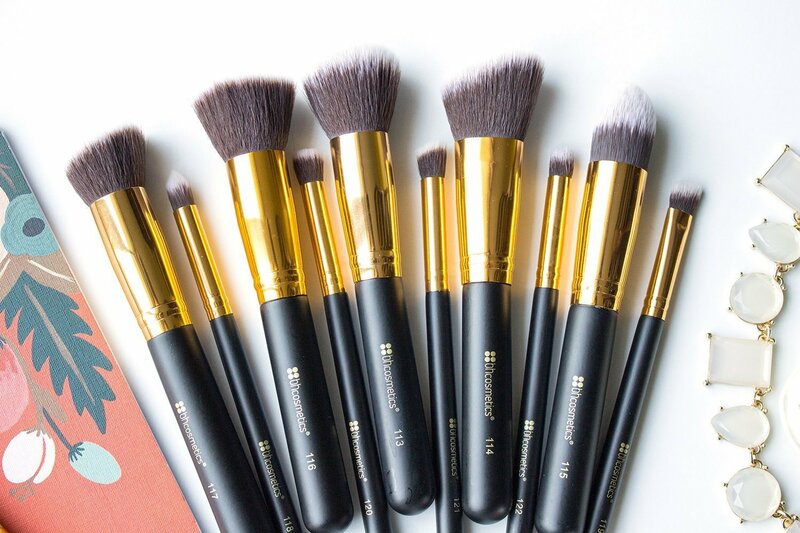 This Sculpt and Blend set is only $30 – that’s $3 a brush! BH Cosmetics also often has sales, so you may be able to snag this set at an even lower price. 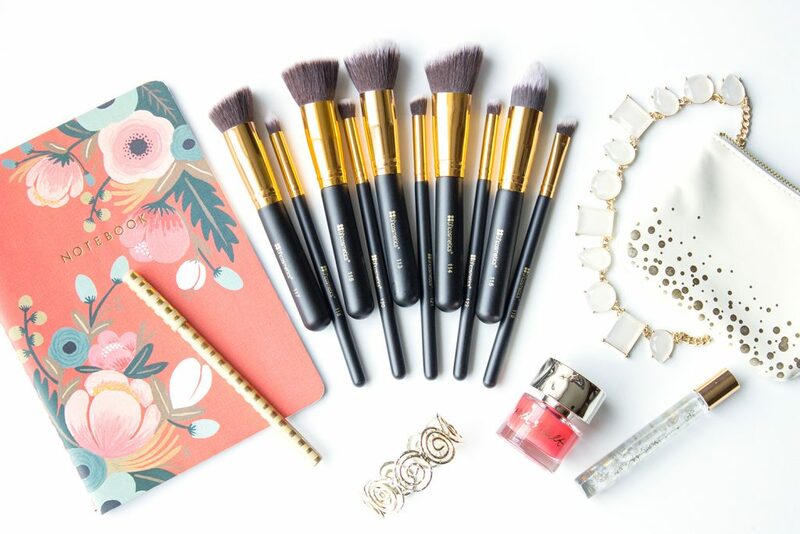 If you’re a total makeup newb, this set may be a little beyond your needs. 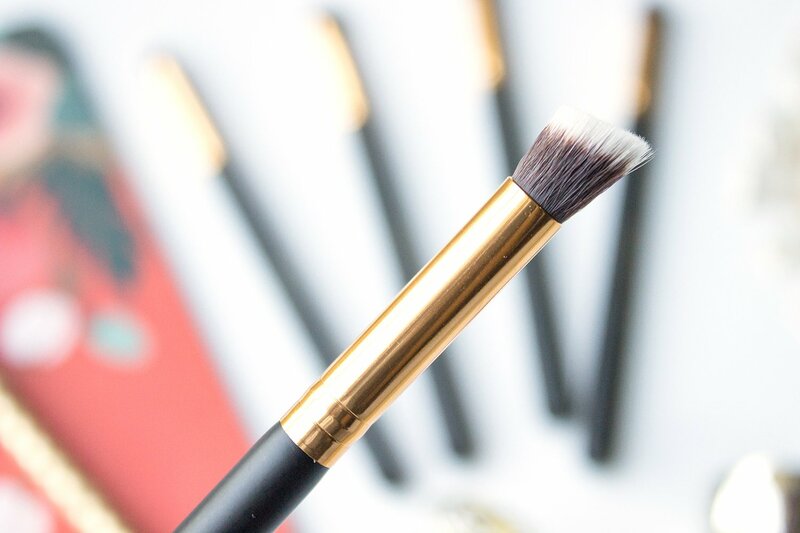 However, if you’ve already got a basic brush collection and would like to have more tools at your disposal for applying your makeup like a pro, this is an awesome way to do it without dropping a ton of cash. I’ll take you through each of the brushes in this set and tell you a little bit about how I’ve been using them! 113 Round Blending Face Brush. I really love using this brush for buffing in liquid foundations. It’ll give you that perfect, airbrushed finish and can also help to diffuse coverage so that your face looks natural. It would also work well to blend in mineral powder foundation, or to apply setting powder all over the face. 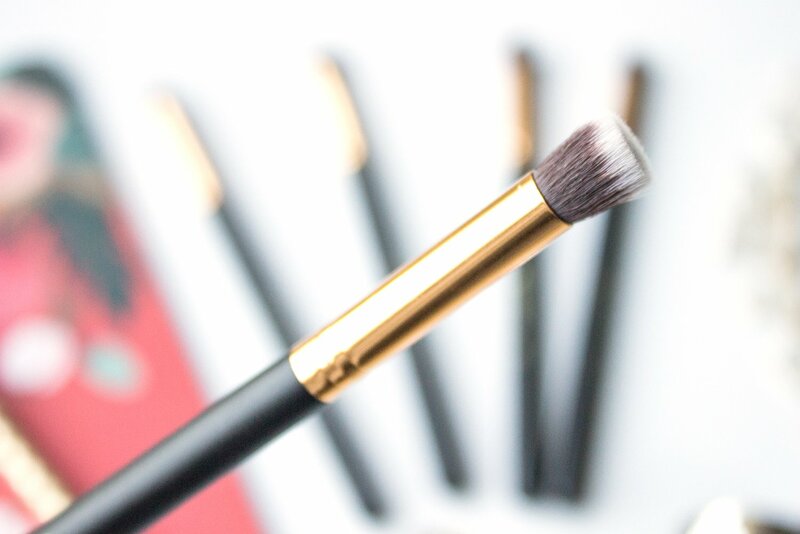 114 Angled Blending Face Brush. This brush is wonderful for applying powder blushes. I find that the angled shape makes it really easy to hug the brush along your cheekbone. This would also be really great for contouring your cheekbones, as its slim shape makes it easy to fit in the hollows of your cheeks. 115 Tapered Contouring Face Brush. 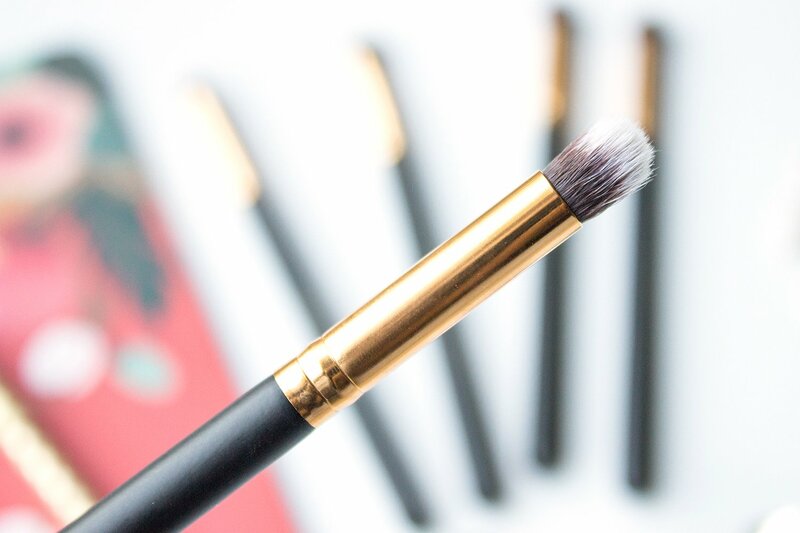 The precise tip of this brush is great for applying product to targeted areas of the face or for blending around tight spaces like the curves of your nose or around your eyes. It may also be helpful for applying liquid or cream highlighters to your brow bones, cheek bones, and cupids bow. 116 Flat Blending Face Brush. So far I’ve been loving using this brush to apply cream blushes. I’ll dab the brush directly in the pan to pick up the product, and then gently buff into the apples of my cheeks. I find this technique gives you a really natural looking flush! 117 Angled Contouring Face Brush. This brush is a really great multi-tasker, as it has both a flat cut and an angled edge. 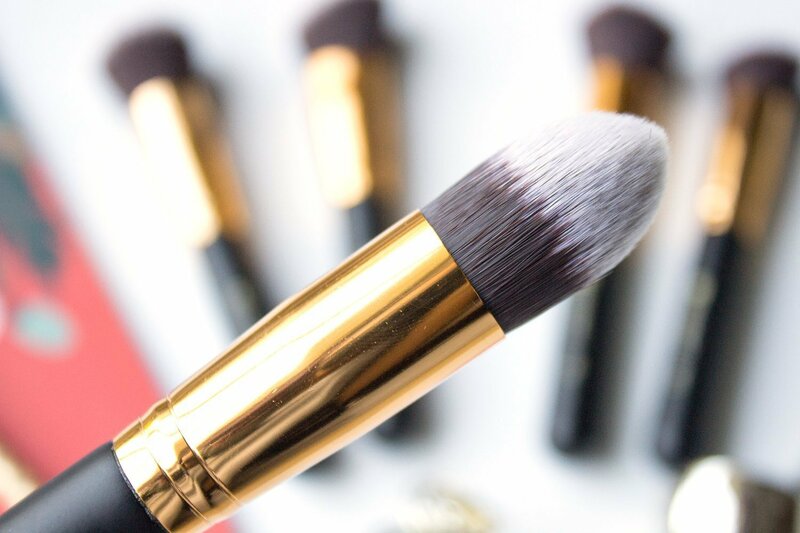 You could use it to do just about anything – buffing in foundation, applying blush, or blending in contour. 118 Small Tapered Contouring Face Brush. The super fine tip on this brush makes it great for anywhere you want very precise application of a product. For example, to highlight the inner corner of the eye or to conceal around the lip line. 119 Small Angled Blending Face Brush. This is a mini version of the 114 brush and I find it particularly useful to use in the eye area. It could blend out highlight under the brow bone, or apply eyeshadow in the crease of your lid. 120 Small Flat Blending Face Brush. 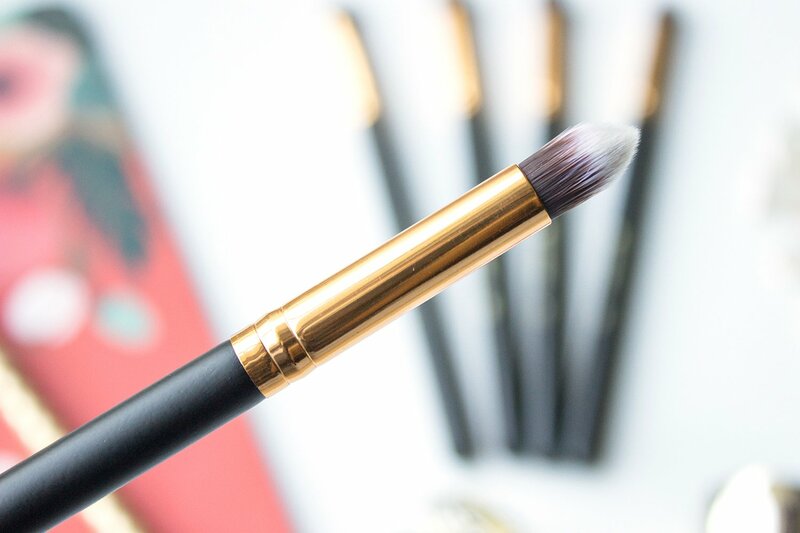 This mini version of the 116 brush is excellent for applying concealer to targeted areas of the face. If you need to cover up a blemish or spot you can easily use this to dab product onto that area and buff it in. 121 Small Angled Contouring Face Brush. 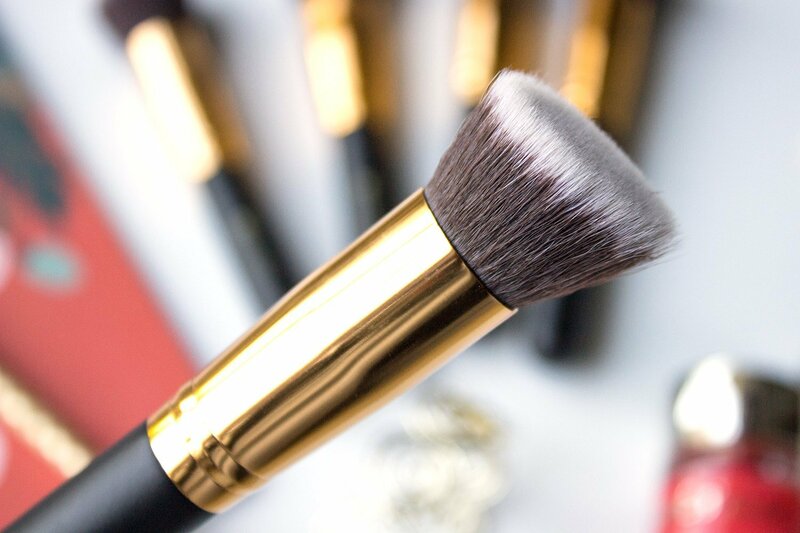 My favorite use for this brush is to apply and blend under eye concealer. The angled edge makes it really easy for you to get around the tight contours of your eyes and nose. 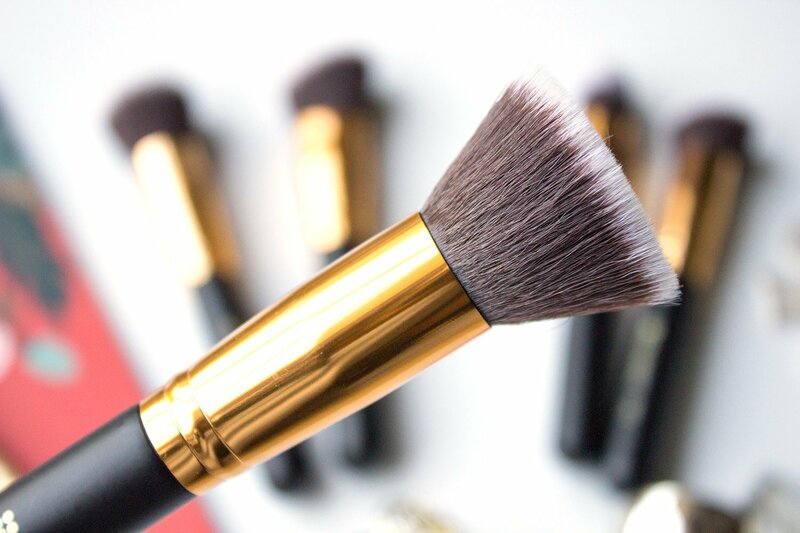 122 Small Round Blending Face Brush. 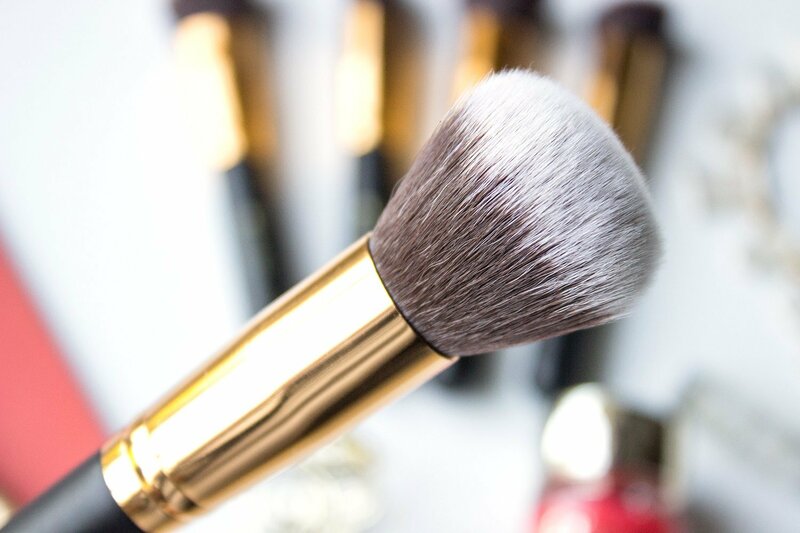 If you’ve ever wanted to try contouring your nose, this brush will be your best friend! It’s rounded enough to blend out products with ease, but small enough to allow you to work with very precise areas. It’s also really nice for smudging out eyeliner if you want to create a smokey eye. All in all I’m really happy that I decided to pick up this brush set. It’s been a lot of fun to play and experiment with the different shapes and cuts and figure out which ones work best for doing different things. I also still can’t get over how high end they look and feel for the price. Did you know BH Cosmetics released a sister set to this one? You can check out my full review of the Sculpt and Blend II set here! Are you on team contour and highlight? What are your favorite tools to use?